Irrigation Services Bloomington & Goodfield IL | Tri-County Irrigation & Plumbing Inc | TCI Companies, Inc. Backed by more than 30 years of experience, we are confident in our ability to design and install a quality irrigation system for you. We offer only commercial grade products and stand behind our workmanship. Our staff shares a commitment to quality combined with professional installation to achieve full customer satisfaction. The success of your irrigation system depends largely on the contractor you choose to install it. At Tri-County Irrigation, we use our expertise to design the most efficient and reliable irrigation system for your particular landscape. 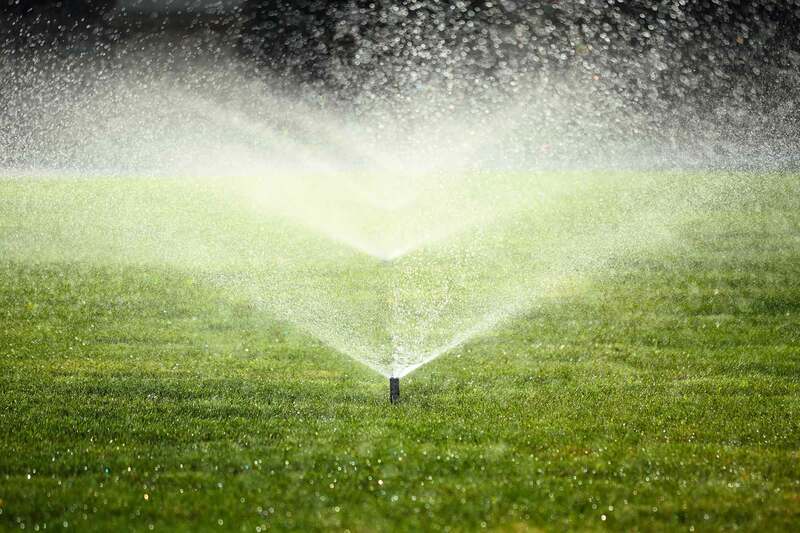 Your irrigation system design will make the difference between a system that is reliable and keeps your lawn green and healthy, and one that is troublesome, wastes water and leaves your lawn looking brown and unhealthy. Tri-County Irrigation will help you make an informed decision about your lawn care needs. We will review your property to determine soil conditions, water sources, water pressure and planting materials to provide you a detailed solution for your particular irrigation needs. Although most irrigation systems are concentrated on turf, we also incorporate irrigation into gardens and surrounding landscapes to keep them looking healthy and lush. Tri-County Irrigation will keep your lawn and landscape looking its best. Everyone loves a lush, green lawn! Our installation methods are minimally disturbing of the existing lawn and minimize settling. Located directly between Bloomington-Normal and Peoria, Tri-County Irrigation is positioned to adequately serve all of Central Illinois and beyond to meet your irrigation needs. Have confidence that our irrigation systems will provide the best results for your property. Our service department will keep them running for decades.